EDITOR'S NOTE: This article has been updated to correct the number of GM salaried employees in North America. 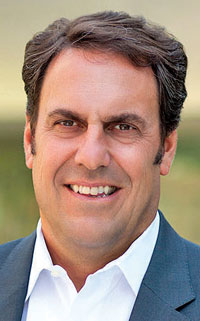 DETROIT -- Mark Reuss wants General Motors employees to make customers so happy with their GM vehicle that they come back for another one. So he's paying extra when that happens. Reuss, GM North America president, has instituted a new compensation structure that ties a portion of salaried workers' bonus pay to GM's customer loyalty in both sales and aftersales service at dealerships. It covers all GM North America salaried employees, including 29,000 in the United States, from engineers and vehicle designers to field reps.
Reuss says it's the first time in his 26-year career -- and likely in GM's history -- that the company will pay employees based on how well GM retains its customers. "That is the ultimate result of why we're doing all of this, right? People come back and buy our cars and trucks," Reuss told Automotive News last week. The latest move builds on Reuss' unrelenting mantra of customer loyalty over the past two years, ever since he was given sales responsibility for North America. Reuss wants GM employees to look beyond the narrow scope of their job descriptions and keep their ultimate focus on the customer. In the past, divisional barriers meant that even if employees in one area were hitting their targets it often did not translate into success for GM. "Everybody had their own metrics, which somehow were all green," or positive, Reuss says of the old GM. "But, weirdly, when we added it up, it was pretty red." For 2012, salaried workers in North America will get a year-end bonus if GM hits an internal customer-retention goal. The company uses both third-party sales data and internal numbers to set a loyalty target, a spokesman says. The customer-retention piece is now part of a broader compensation system GM implemented in 2011 that pays salaried workers a bonus for hitting a companywide target for vehicle quality. Reuss added the customer component for 2012. Employees were notified of the change last month. The spokesman would not say how much money GM is offering for hitting the targets. 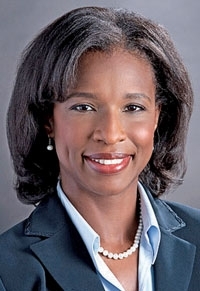 To drive home the point that customer-loyalty efforts transcend the dealership, Reuss last month added vehicle-quality duties to the responsibilities of his customer-experience czar, Alicia Boler-Davis. That gives the one-time plant manager oversight of both the quality of GM's vehicles rolling off the assembly line and the level of customer satisfaction at its dealerships. Since Reuss began his customer-retention drive, Chevrolet dealers have been asked to focus on seven key areas, including product knowledge and sales-to-service handoffs. They have been asked to visit Walt Disney Co. resorts for tips on how to treat customers. Cadillac dealers have been immersed in the ways of the Ritz-Carlton luxury hotel brand. But it is inside GM's 650-person field sales division that the customer-centric pay structure probably reflects the most striking departure from GM's past. For many years, zone managers and sales reps were expected to move the metal at any cost. Twisting dealers' arms to take cars they didn't want was routine. Today, many dealers say they rarely are pressured to take cars. That's partly a byproduct of GM's restructuring: The 2009 bankruptcy and new UAW contracts pared production capacity and eliminated suffocating legacy costs such as the Jobs Bank, which paid workers whether they were building vehicles or sitting idle in union halls. So GM no longer has an incentive to produce more cars than demand requires simply to keep cash coming in. But Reuss wants more from his sales force. He expects sales managers and reps to partner with GM dealerships to achieve his goal of making GM's brands No. 1 in customer service within two years. From his office desk on the 38th floor of GM's Renaissance Center headquarters, Reuss plucks a freshly printed PowerPoint document, dated May 30, that amounts to a road map for changing the culture inside his sales operation. It's filled with "GM values" such as employee engagement and "customer zealotry." For field personnel: "Your No. 1 job is no longer getting allocation and take-up on cars. We don't do any of that anymore," Reuss says. "You're going to be a trusted adviser to these dealers." Duane Paddock, owner of Paddock Chevrolet near Buffalo, says he has already seen a change in his relationship with GM staffers. Last fall Paddock called in his GM field reps and managers for a meeting to help him improve customer loyalty. That resulted in Paddock's opening a new call center to handle service calls. Five years ago, Paddock says, "if I were to call my zone manager, all he'd try to do is sell me something I didn't need."